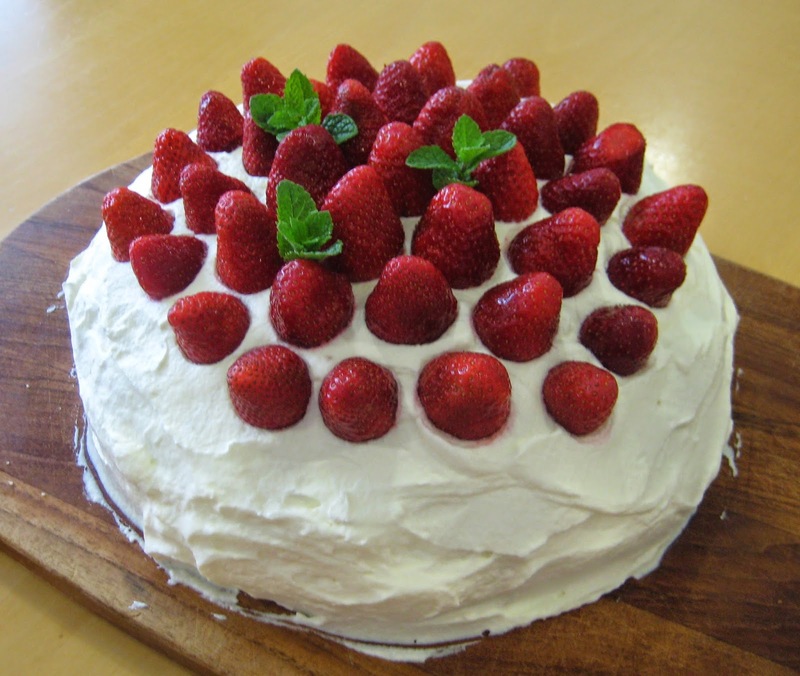 Summer is coming and strawberries too! 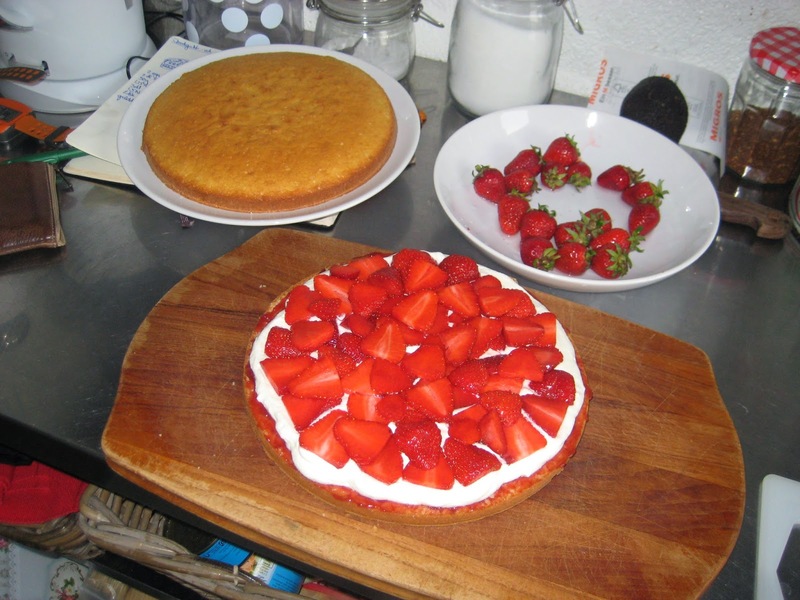 Last night I saw local Swiss strawberries at the supermarket so I bought them in order to make a nice strawberry cake for my friend's birthday today. 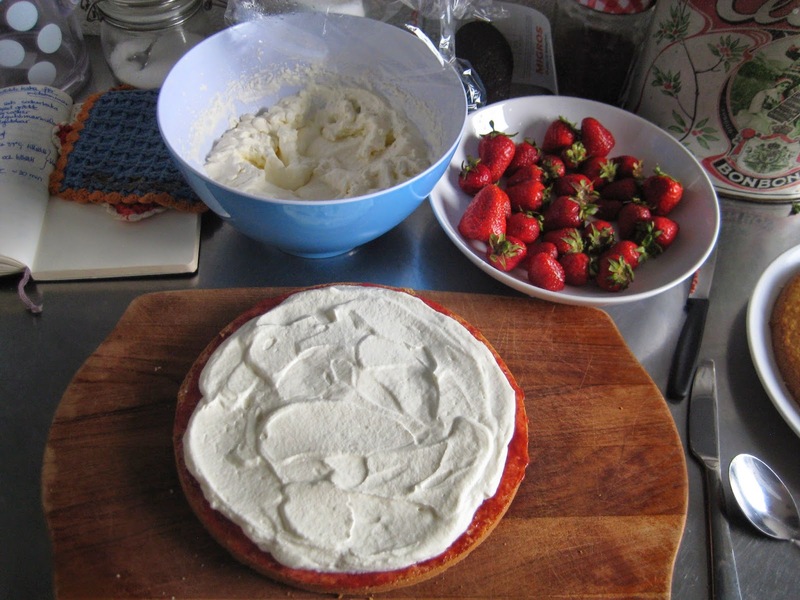 I remembered that my Swedish grandfather used to love cake with strawberries and cream in the summer (i.e. 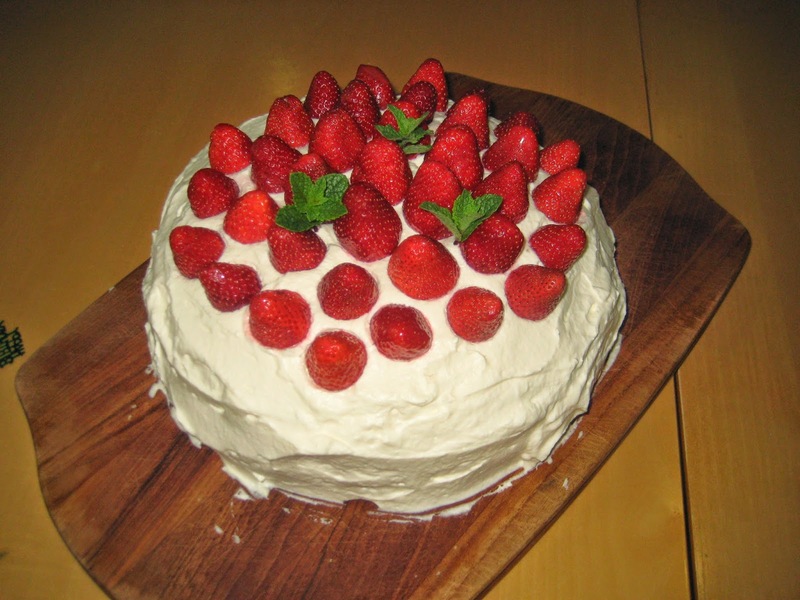 Midsommar jordgubbstårta) so I thought I should make one like that too. Beat eggs and sugar until white and foamy. Melt butter and add milk, heat/cool to 37C. Add butter, milk, and dry ingredients to sugar-egg mix and mix until incorporated. 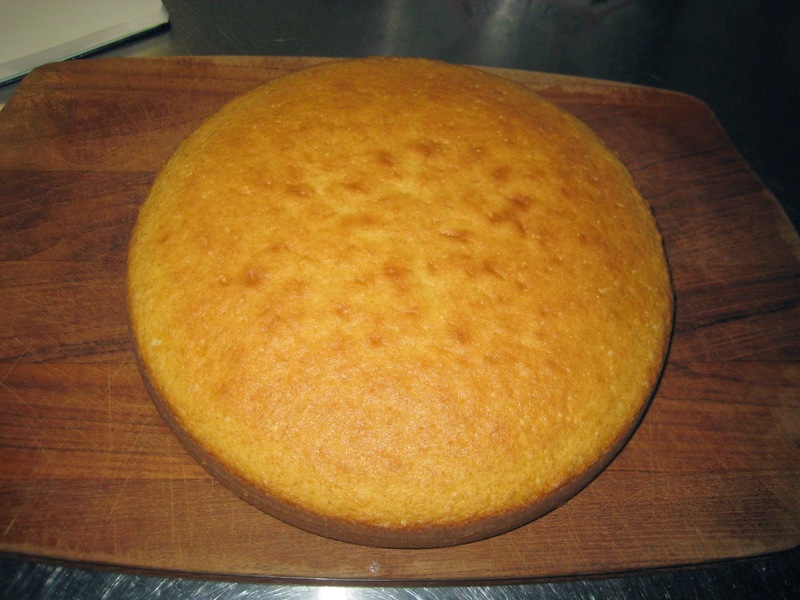 Transfer to a buttered+floured springform and bake in the oven 30 min at 175C. 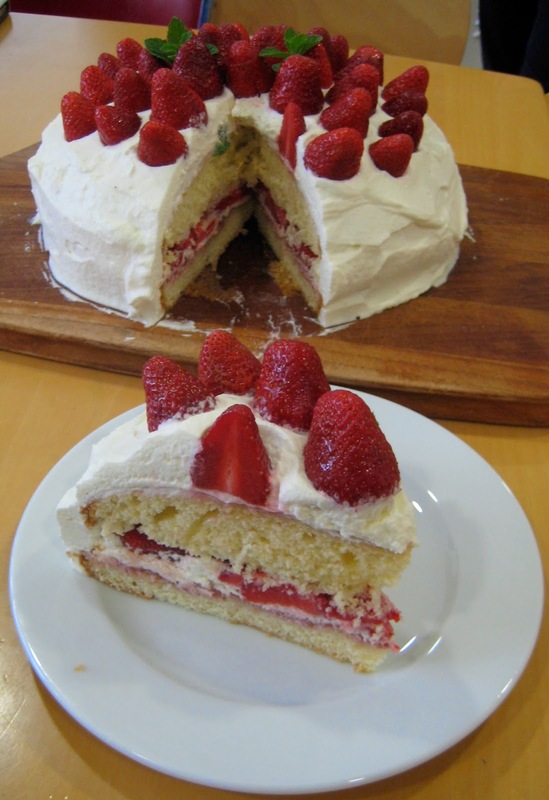 Let the cake cool down completely and then slice it 2 layers (you can do 3 layers also if you like). 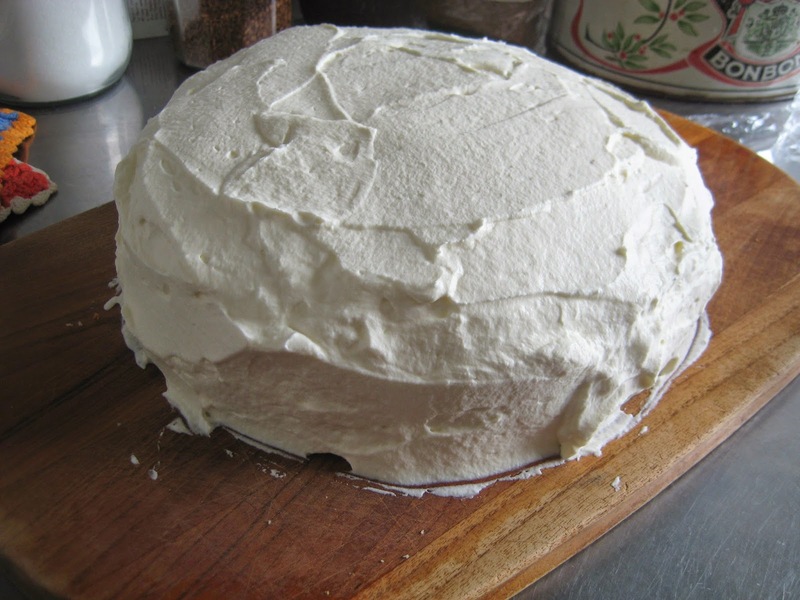 Whip up the cream with 3-4 tsp powdersugar (to your taste). 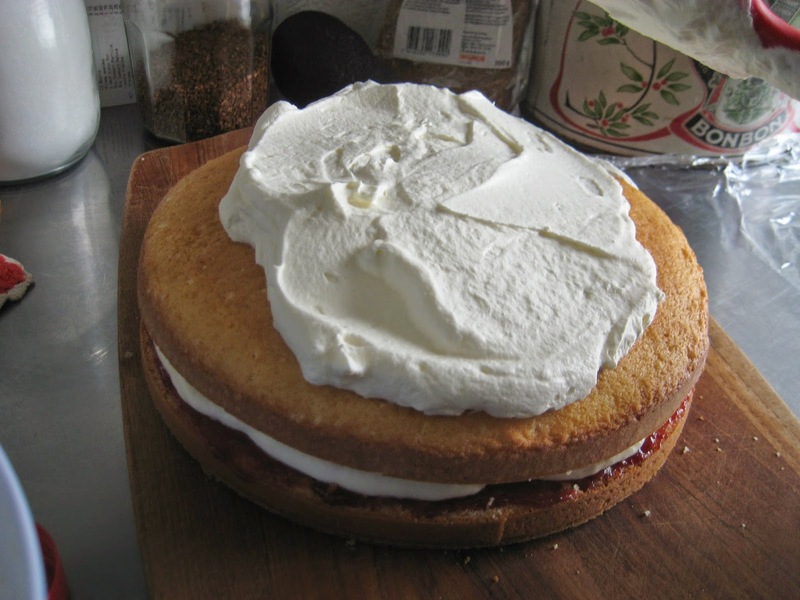 Spread strawberry jam on the lower layer, then add a generous layer of whipped cream and finally add a layer of sliced strawberries. 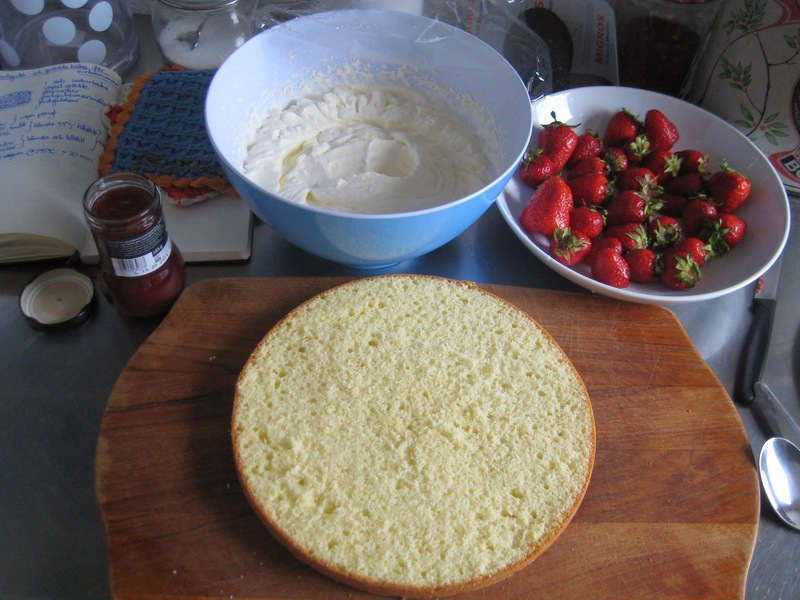 Cover the cake with the upper part of the spongecake. 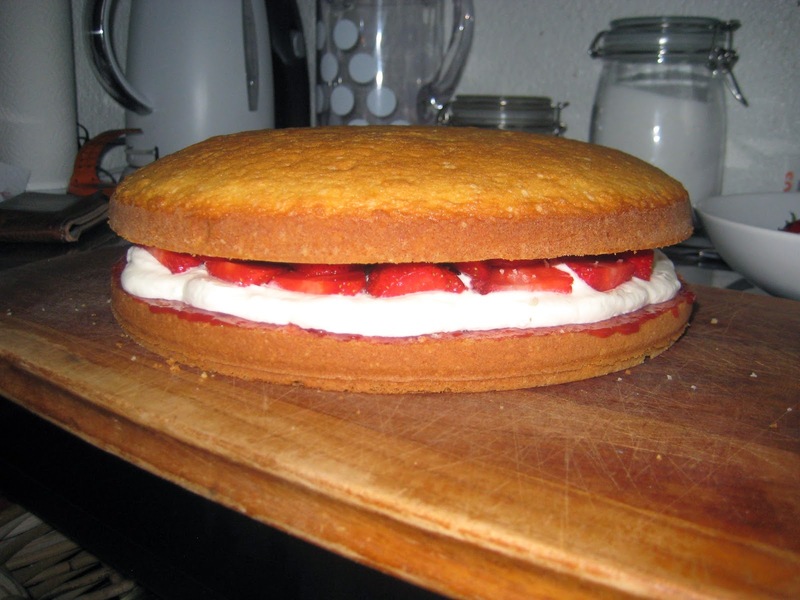 (if you're having 3 layers repeat the 1st filling). 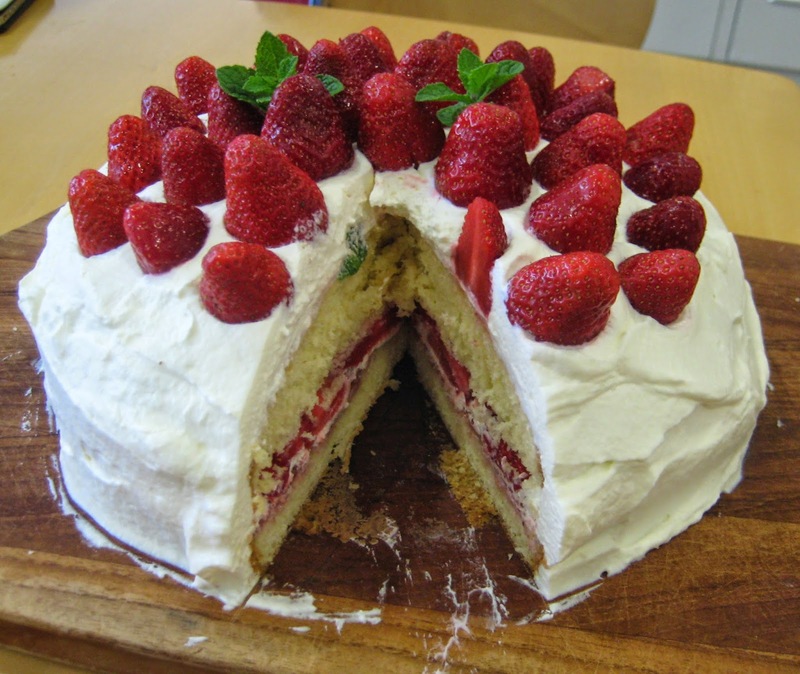 Cover the whole cake with whipped cream and decorate with whole strawberries.